Bahai News (Persian), June 14, 2017. Maral Rasti (مارال راستی) and Mahnaz Jannethar-Pourmaradeyan (مهناز جانثار( پورمرادیان)) were released from the central prison of Bandar Abbas on June 14. Two days earlier, Mehran Afshar (مهران افشار), whose name was previously reported as Mehrollah Afshar (مهراله افشار), was also released on bail. They were among seven Bahais arrested in Bandar Abbas on April 18. Mr. Adib Haqqpazhouh (ادیب حق پژوه) was released on bail on June 12. He was arrested in Shiraz on April 17, and transferred to the Ministry of Intelligence detention facilities in Bandar Abbas on April 19. All four were held for lengthy interrogations by the Ministry of Intelligence before being transferred to the central prison. The interrogations focused on charges such as “undermining national security” and “membership of Bahai organizations.” Bail in all four cases was 120 million tumans (35,000 euros ; $US 37,000). Bahai News (Persian), May 19, 2017. In the past week, seven Bahai detainees who have been held for interrogation in the Ministry of Intelligence detention facility in Bandar Abbas since April 18 were moved to the central prison for Hormuzgan Province, which is also in Bandar Abbas. Maral Rasti (مارال راستی) and Mahnaz Jannethar-Pourmaradeyan (مهناز جانثار( پورمرادیان)) were transferred to the regular jail on May 15, while Nasim Qanawateyan (نسیم قنواتیان), Arash Rasekhi (آرش راسخی), Mehrollah Afshar (مهراله افشار), Farhad Amri-Hesari (فرهاد امری حصاری) and Omid Afaqi ( امید آفاقی) were moved on May 17. The move is likely to mean that they will be released on bail soon. Four of the detainees, Maral Rashti, Mahnaz Janethar, Nasim Qanawateyan and Arash Rasekhi, have been allowed to meet their families for 20 minutes, and the others are likely to be allowed to meet their families soon. The behaviour of local and provincial officials during the interrogation has been described as good, but the interrogators who travelled to Bandar Abbas from Tehran behaved badly, insulting the detainees. Bahai News (Persian), April 23, 2017. Mr. Adib Haqqpazhouh (ادیب حق پژوه), a Bahai who was arrested in Shiraz on April 17, was transferred to the Ministry of Intelligence detention facilities in Bandar Abbas on April 19. He was able to see his wife and daughter in Shiraz before he was taken away. He suffers from a heart ailment. His transfer to Bandar Abbas suggests a link between his arrest and the arrests of seven Bahais in Bandar Abbas on April 18. Bahai News (Persian), April 18, 2017. On the morning of April 18, security agents arrested Mahnaz Janethar-Pourmaradeyan (مهناز جانثار( پورمرادیان)), Maral Rasti (مارال راستی), Farhad Amri (فرهاد امری), Arash Rasekhi (آرش راسخی), Mehrollah Afshar (مهراله افشار), Omid Afaqi ( امید آفاقی) and Nasim Qanawateyan (نسیم قنواتیان) in Bandar Abbas. They are believed to be detained in the Ministry of Intelligence’s detention facilities. Their houses were thoroughly searched and religious and other books and images were seized, along with computers, laptops and mobile phones. The report mentions that Mr. Adib Haqqpazhouh was arrested in Shiraz on the same day, but that there is no evidence so far that the eight arrests are connected. Bahai News (Persian), May 3, 2016. On April 27, the Supervisors of Public Places in Bandar Abbas went to all the Bahai-run businesses still operating in the city and told them they must not close on the coming Holy Days for the Bahai festival of Ridvan. On the same day they told Mr. [?] Gamrun (گامرون), who runs an optician’s shop, that the shop would be closed. Three other Bahai-run optician shops in Bandar Abbas have been closed in recent months. The shutting of Bahai optician’s shops probably relates to a common superstition in Iran, that Bahais are “unclean,” and must therefore be excluded from providing personal services. However authorities in Bandar Abbas have also shut down some elevator installation and service companies belonging to Bahais. Reports indicate that most of the anti-Bahai activity in Bandar Abbas is initiated by a Captain Hassan Zand (سروان حسن زند) who heads the Office of Public Places, with the support of the Ministry of Intelligence. Beginning some years ago, he has been investigating the religious beliefs and personal lives of the Bahais, with the purpose of persuading them to leave Iran. He was one of those who, in past years, focussed on the business activities of Mr. Ataollah Rezvani ( عطاءالله رضوانی ), who was martyred in Bandar Abbas two years ago. On several occasions he threatened to close Mr. Rezvani’s business and inhibit his business activities, and did indeed stop the family’s business activities for a period after the killing. One of the optician’s shops that has been closed down was run by Mr. Reavani’s son. Iran Press Watch, November 21, 2015. Two optometry shops run by Bahais have been closed down by authorities in the city of Bandar Abbas. The closures are still in effect in spite of extensive appeals by the shop’s owners, Mr Heidarpour (حیدرپور) and Mr. Rasti (راستی). On November 15, security forces also raided and searched the business of Mr. Navid Hemmat (نوید همت) and confiscated some of his property. Within the past few days, dozens of Bahai-run businesses in Rafsanjan, Kerman, Tanekabon, Qa`em Shahr, Tehran and Karaj have been closed and sealed by government authorities. Iran Press Watch, February 21, 2015. 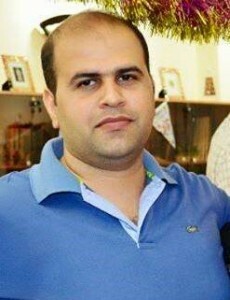 On Saturday 14 February, Kalim Jahandari, a Bahai from Bandar Abbas, was attacked and threatened in the city by unknown armed assailants. According to reports received by Saham News, his attackers blind-folded him and took him to a deserted area of town, where they subjected him to harassment and persecution, denigrated his family — who are not Bahai — and threatened him with severe repercussions should he decide to promulgate his Faith. The fact that these unidentified attackers have access to detailed information about the personal lives of Bahais in Bandar Abbas heightens the fear of a connection with the security authorities. The assailants also declared that they were responsible for “sending to Hell” Ataollah Rezvani, a former member of the administrative body of the Baha’i community of Bandar Abbas, and threatened to kill two other former members, Mehran Afshar and Behzad Rasti, at the appropriate time. These threats come in the aftermath of the assassination of the 52-year-old Ataollah Rezvani, who was shot to death last August by unknown agents who have yet to be identified or prosecuted by the security forces or the judiciary. The status of the case remains unclear. The Bahais of Bandar Abbas have lodged complaints with the Security Council and the Department of Justice of Bandar Abbas, and have demanded protection against self-appointed groups. On October 17 this year, I reported that authorities were moving to close the file on the murder of Mr. Ataollah Rezvani ( عطاءالله رضوانی ), a well-known member of the Bahai community in Bandar Abbas, who was killed on August 24, 2013. Latest reports in Persian indicate that the investigation has now been closed. Updated, November 2: In an interview with Diane Ala’i, Radio Farda links the current closures to several cases of arson against Bahai businesses in Rafsanjan, and reports that some of the Bahais in Rafsanjan recently received letters stating that they are forbidden to have any contact with Muslims. Thirteen months after the execution-style killing of Mr. Ataollah Rezvani ( عطاءالله رضوانی ), a well-known member of the Bahai community in Bandar Abbas (on August 24, 2013), the judicial authorities are pressing the Rezvani family to accept the ending of the investigation. On October 14, the Rezvani family and the lawyer handling this case were summoned to a Revolutionary Court in Bandar Abbas where Judge Emani, the investigating magistrate, told them that thus far no clues had been found regarding the circumstances of Mr. Rezvani’s murder, so the investigation could go no further. He recommended that the Rezvani family should accept compensation from public funds so that the case could be closed. Under Iranian law, if a body is found in a street or public place and the killer or killers cannot be found, the family are entitled to compensation from a public fund. The Rezvani family did not accept this proposal, and insisted that the murder should be investigated. The investigating magistrate responded that, if they had evidence that Mr. Rezvani was killed by one or more persons, they should make a complaint. Otherwise, he would not be able to pursue the matter. He also referred to one ‘Karim,’ the last person known to have seen Mr. Rezvani alive. Karim was an Afghan labourer who worked at the home of a Bahai family who were out of the country, and Mr. Rezvani used to check on their house in Bandar Abbas occasionally. On the night of the murder, he had gone there and had given a ride to Karim in his car. “Karim” had not been heard of for the past eleven months, but Judge Emani said that he had been intercepted by Iranian border guards while trying to get to Syria [Iran and Syria do not have a border ~ Sen] and had been sent to Afghanistan. This contradicts a recent statement made by Mr. Reza’i, the officer in charge of the file, who told the Rezvani family that Karim had been seen in Shiraz and would be arrested once a warrant had been issued. Judge Emani asked the Rezvani family to sign a statement that they had no complaint against Karim: the family refused. The following day, October 15, the family received a letter from the Court asking that Koroush Rezvani, the son of the murdered man who is registered as the “complainant” in this case, should provide any evidence regarding the murder of Mr. Ataollah Rezvani to the court, within one week. Postscript, October 19: A reader has pointed out that the file of an unsolved murder is not ‘closed’ when the investigation is ended. There is nobody assigned to further investigations, but should new evidence emerge even years later, a new attempt may be made to identify the murderers. The initial report of the killing of Mr. Rezvani is on this blog here. Three months after the execution-style killing of Mr. Ataollah Rezvani ( عطاءالله رضوانی ), a well-known member of the Baha’i community in Bandar Abbas, HRANA has published a detailed analysis in Persian of the information available thus far, by Dr. Arya Haghgoo (دکتر آریا حق گو) of Washington. This appears to be the pseudonym of an activist journalist for whom I cannot vouch, but the analysis appears credible and HRANA has a very good record in checking its sources. Despite mounting scientific evidence to the contrary, the local police continue to label the incident a “suicide” and have refused to open an investigation. The analysis focuses on that point, and concludes that Mr. Rezvani was most probably not sitting in his car when he was shot, by a pistol to the right temple at fairly close range. This conclusion is based on the lack of scattered remains on the headrest and in the back of the car, where the exit point of the bullet would have been had he been sitting in the vehicle. Contrary to previous reports, the bullet entered from the front and exited from the back of his head. Further, the murder weapon has not been found: it is not probably that someone could shoot themselves through the head, successfully conceal the weapon, and climb into a car before dying. Another interesting point in the analysis is that his cell phone has disappeared. It appears that Mr Rezvani received a telephone call on the night of his murder and responded to it. A young Afghan man who witnessed his receiving this call has also disappeared. These facts suggest that his murderer was afraid of being caught, which in the Iranian situation is significant. In the past those who murdered a Bahai have been so confident of immunity that they have even gone to the police while still covered in blood, and have indeed been acquitted. A well-known member of the Iranian Baha’i community, Mr. Ataollah Rezvani ( عطاءالله رضوانی ), was killed in a religiously-motivated attack in Bandar Abbas, in Southern Iran on August 24. His body was found in his car near the railway station on the outskirts of the city: he had been shot in the back of the head. It appears that his assailants may have forced him to drive to the place he was shot. They did not steal his wallet, car, or anything of value aside from his cellphone. An acquaintance who was the last person to see him said he had been talking on his phone for half an hour. Mr. Rezvani’s sister, Sahba Rezvani ( صهبا رضوانی ), has served three and a half years in prison in Semnan and Tehran. Iran Press Watch has an interview with a son and cousin of Mr. Rezvani, which contains further details (Sept. 8). Babak Zeynali ( بابک زینلی ), a Bahai from Bandar Abbas, was arrested by agents from the Ministry of Intelligence on April 15. The agents searched his home and confiscated personal effects including Bahai books and CDs and a laptop computer. It would appear that the agents’ behaviour was unseemly. It is not known where he is being held, or what the charges may be. Family members have received a telephone call from Mi`ad Afshar (میعاد افشار), a Bahai student at the Bahai Open University (BIHE) who was arrested with his brother Mithaq ( میثاق افشار ) in Tehran on the morning of July 9. Following his arrest he was transferred to the custody of the Ministry of Intelligence in Bandar Abbas, and he was allowed a telephone call on July 13. He said that he was in good condition. There is no indication of the charges against him. Family enquiries with the Prosecutor’s office have received the response that Mi`ad has complained about his detention and will therefore have to be detained longer. Update, July 16: PCED reports that the Information office of the Ministry of Intelligence has refused permission for his family to meet him.